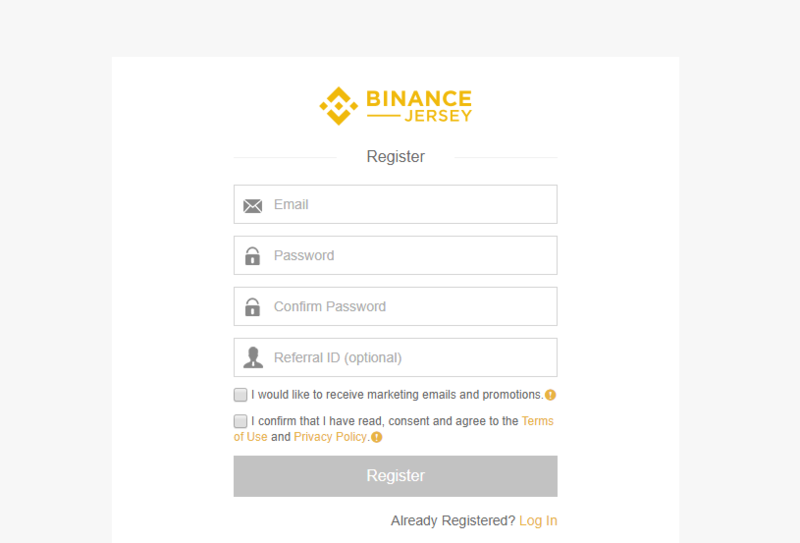 Binance Jersey is a regulatory compliant subsidiary of Binance.com that aims to serve crypto traders based in Europe, and the U.K. Users can deposit and withdraw in Euros and sterling pounds on the new platform. The new exchange was launched on January 16, 2019, and will operate within the framework that is supervised by the Jersey Financial Services Commission. You can read our full guide here. The new platform aims to offer both individual and institutions users in Europe and U.K. a stable and secure exchange where they can trade crypto and make use of fiat transfers. Go to the home page and on the bottom left corner select the register on the platform option. Create a password – the password has to be strong. It should consist of numbers, uppercase, and lower case letters. Check the box that says you have read the terms and conditions. You can also check the box that says receive marketing emails and newsletters if you would like to see such updates. Proceed to click the register button. A confirmation email will be sent to the email address that you registered with. Go to the inbox and verify the email address. The account will be activated, and you can log in. 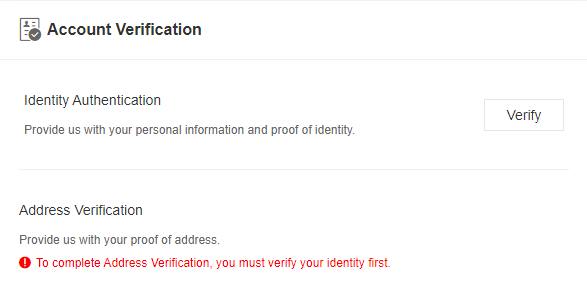 After verifying your email, you will be asked to verify your identity and address. This is where you will start the account verification process and also the Know Your Customer (KYC) process. But first of all, ensure you enable a Two-Factor Authentication (2FA). You can choose either Google authenticator or SMS verification. Ensure you download the Google Authentication App. Scan the QR code using the App. Write down the key provided that will enable you to recover your Google Authentication in case you lose your phone. Enable Google Authentication by entering your password and the Google Authentication Code. You can initially start by verifying your identity through entering your name, date of birth and nationality. When you are done with identity verification, you can proceed to verify your primary residential address by confirming you are not a US citizen. This where you will submit documents that prove your residence including bank account statements and some other utility bills. The name and the address on the document match what you have indicated. The document contains Latin characters (a-z). The document uploaded should be in JPEG, PNG, JPG or PDF format. Its size shouldn’t also exceed 5MB. The document submitted shouldn’t be older than 3 months. The details on the document should be clearly visible. Then proceed to confirm the source of your wealth and also indicating what your expected monthly trading amount will be and then click on the ‘submit’ button. There is no real difference between trading on the new platform and Binance itself. For those that have already traded on Binance they will feel at home on the new site. The layout of the website is the same, and so are the trading screens. Users have to choose between basic and advanced versions. Ensure you have enabled the Google Two Factor Authentication. Ensure you install the Netcraft Anti-Phishing Extension that will protect you from phishing attacks. 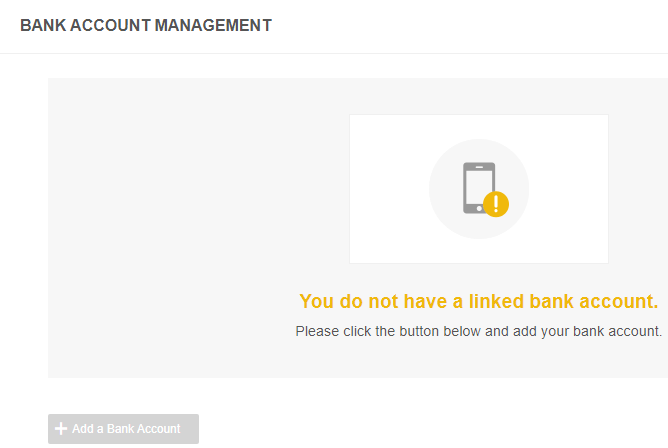 Avoid calling any number of anyone that claims to be a member of the Binance Jersey Support. Don’t disclose the password or 2FA keys/codes to any person including the Binance Jersey support. Don’t send funds to anyone that claims to be a member of the Binance Jersey Support. The world’s biggest and most known exchange has no expanded to the European market. There are lots of trading pairs available for Euros and Pounds. Sign up today to trade your fiat Euro currency for crypto!